The potential of blockchain technology is far beyond the financial sphere. Industries are eager to integrate it into various kinds of applications. 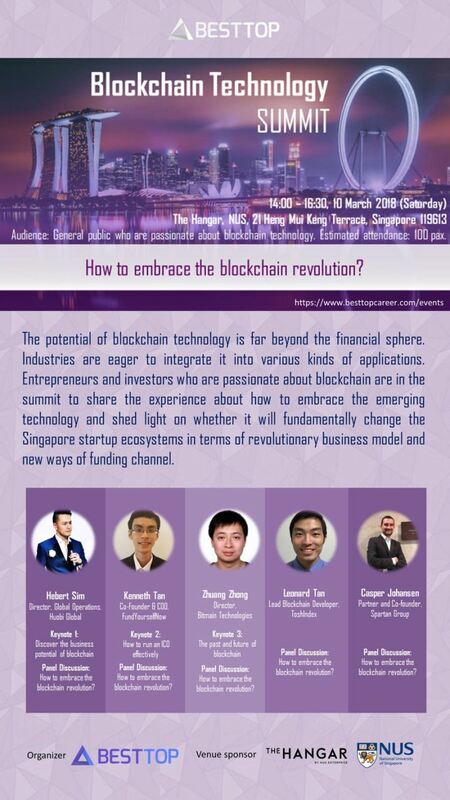 Entrepreneurs and investors who are passionate about blockchain are in the summit to share the experience about how to embrace the emerging technology and shed light on whether it will fundamentally change the Singapore startup ecosystems in terms of revolutionary business model and new ways of funding channel. Topic: How to run a ICO effectively? Topic: How to embrace the blockchain revolution? Herbert Sim is Huobi Pro’s Director of Global Operations. He used to be founder of award-winning Asia’s High Fashion & Luxury Online Magazine – WardrobeTrendsFashion. Herbert is also an ex-contributor to Forbes and Huffington Post. He has a Master of Business Administration degree from University of Wolverhampton, UK, and a Bachelor of Arts in Mass Communications from Oklahoma City University, USA. Kenneth has extensive experience in software development and is currently the COO at FundYourselfNow. FundYourselfNow is an online platform to allow project creators or promoters to raise funds for their projects using cryptocurrencies without the need of technical knowledge. 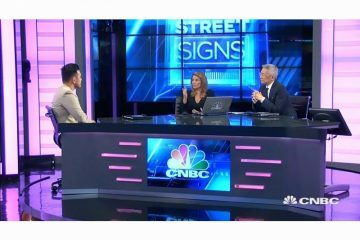 He is an avid supporter of the fintech and its potential applications that can revolutionize the world. Extensive experience in software development, Zhuang Zhong is currently leading the development of global No.1 rated mining pool and trusted bitcoin wallet. He is an expert in the technical field of cryptocurrency and leading the exploration of blockchain technology within Bitmain, a global leader in Cryptocurrency mining and designer of ASIC chips. Lead Blockchain Developer in ToshIndex. ToshIndex aims to instill confidence in the cryptosphere by providing a platform for everyone to democratize learning in the ecosystem. The accuracy, legitimacy, and transparency of content on ToshIndex instill greater trust between members of the crypto community. Based in Asia since 2004, Casper has worked as an investment banker, tech entrepreneur, corporate executive and private equity investor. 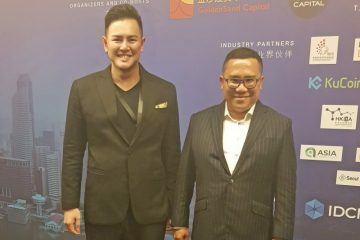 He is currently a co-founder of Spartan Group, a blockchain and cryptocurrency advisory and investment firm based out of Singapore.